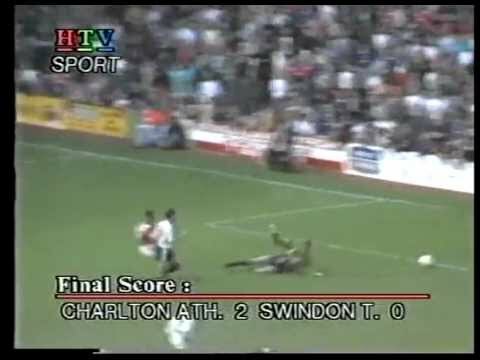 Formed in 1905, Charlton Athletic began life in the shadow of Woolwich Arsenal, playing in local leagues up until Arsenal's move to North London in 1913 - and when the Southern League clubs moved en masse to the new Football League Third Division, the Addicks joined the Southern League. They stayed there for just one season, being elected to the League for the 1921/22 season, and playing their first matches against the Town as their first league campaign came to a close. 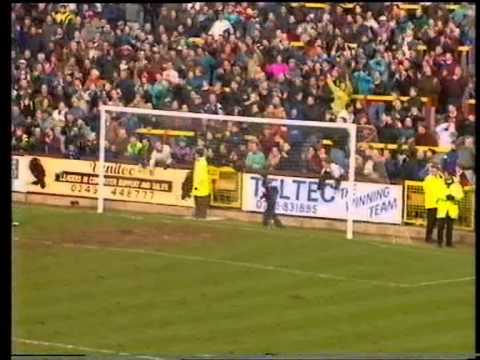 The two matches could not have been more different - at the end of April, the two sides played out a goalless draw at the County Ground, but when they returned to the Valley seven days later, Swindon came away having won by the odd goal in nine! 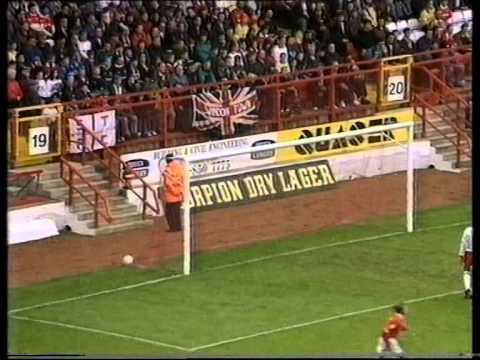 The Addicks were the Town's first opponents on their Coca-Cola Cup run of the 1994/95 season - though the run was nearly over before it even began - two late goals at the County Ground in the first leg of the Second Round tie gave Charlton a 3-1 lead to take back to the Valley. 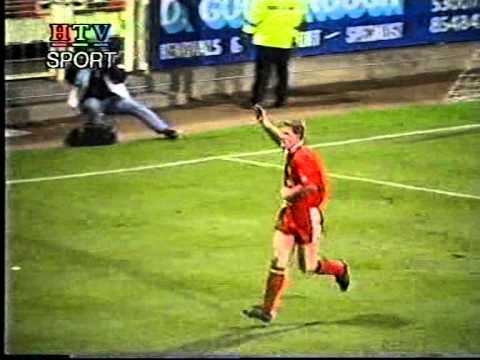 Amazingly though, Swindon completely turned it around in the second leg - a first half hat-trick by Jan-�ge Fj�rtoft putting the Town in the lead, before a late goal equalised the aggregate scores to take the game to extra time. 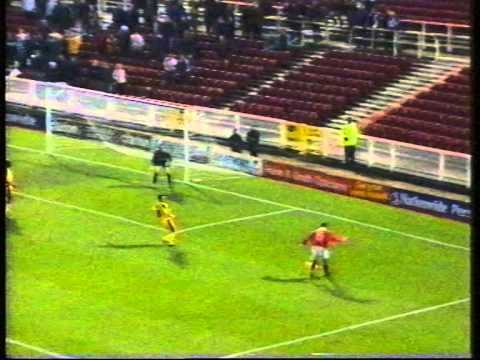 In the added period, a long-range effort by Joey Beauchamp came back off the post and rebounded into the net via the head of ex-Town loan goalkeeper Andy Petterson, giving Swindon an unlikely 5-4 aggregate win to take them into the Third Round. 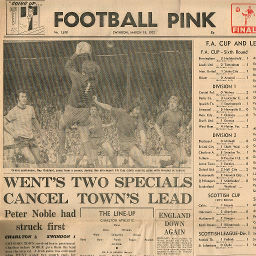 In just their sixth game back in the second tier, the Town thrash Charlton 5-0 thanks to a Peter Noble hat-trick. 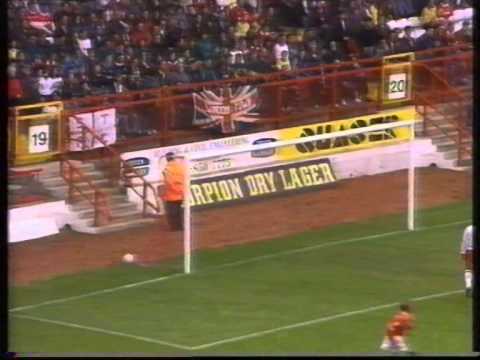 A second half tap-in by Micky Hazard rescues a point for Swindon at home to Charlton. 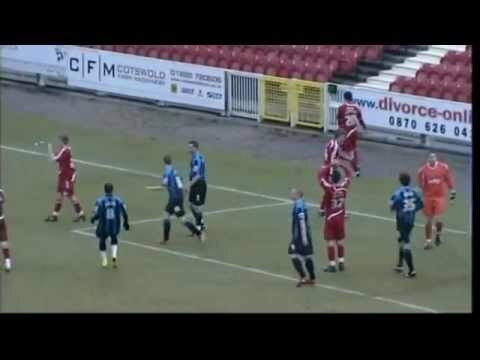 Swindon go top of the Second Division for the first time since 1963, after a goalless draw at the Valley. After six games without a goal, Duncan Shearer nets his 29th of the season to level the game with Charlton - but a free-kick just six minutes later seals the points for the visitors. Goals either side of half-time, by Scott Minto and Kim Grant, give Charlton the three points over the Town. After conceding twice in the first half hour, the Town score twice before half-time to level matters with the Addicks - but neither side are able to win the game in the second half. 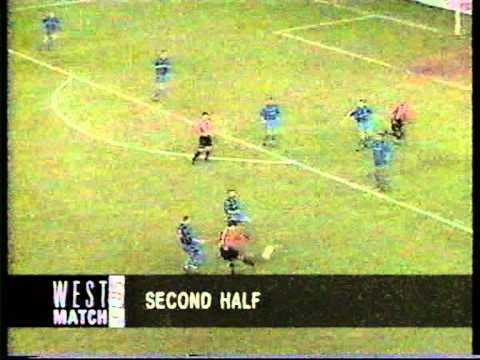 The Town lose to a David Whyte goal, ahead of the two legged Coca-Cola Cup tie between the two clubs the following week. 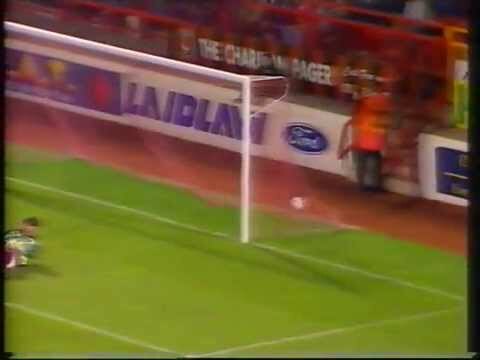 Two goals from former Town winger Garry Nelson puts Charlton on their way to a 3-1 win at the County Ground in this Coca-Cola Cup Second Round First Leg tie - a poor performance giving Swindon little chance of reaching the next round. 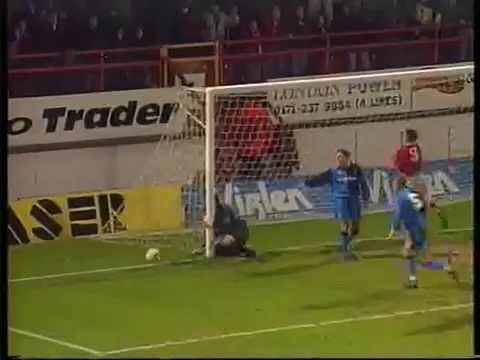 3-1 down from the first leg, a first half hat-trick from Jan Fjortoft turns this Coca-Cola Second Round tie around, but the Town concede a late equaliser to take it to extra time. 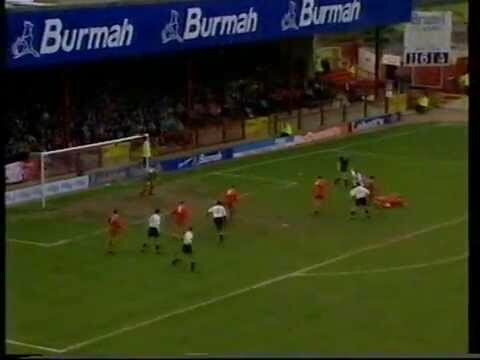 Gallows humour descends upon the County Ground - the crowd singing "Jan Aage F--ked Off" to the tune of their now departed goalscoring hero's song. After taking a first half lead through Steve Finney and conceding an equaliser on the stroke of half-time, the Town are controversially denied a goal to regain the lead - and they are made to pay when Dean Saunders nets a winner nine minutes from time. The Addicks move level on points with the Town in the league table, with an easy 2-0 victory. 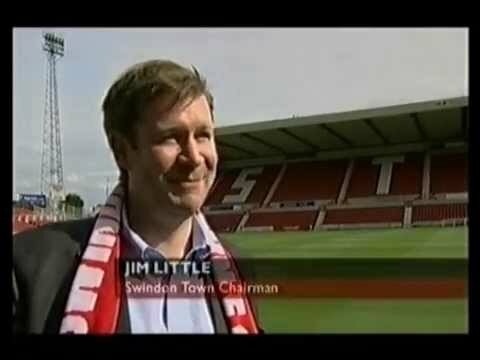 Swindon break a 22 year hoodoo - having not beaten Charlton at the County Ground since 1975, a Wayne Allison goal giving the Town an undeserved 1-0 win. 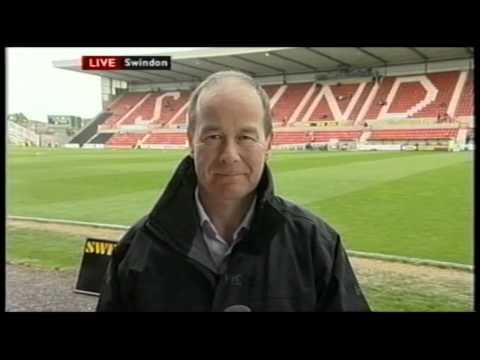 Swindon make it three defeats on the spin since the departure of Wayne Allison - giving a poor performance in a televised clash at the Valley. Steve Jones' goal ten minutes from time seals victory for Charlton at a wet and windy County Ground. 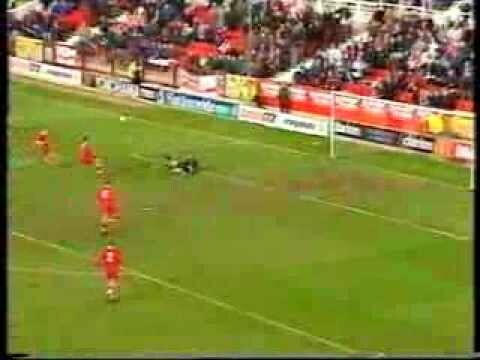 Future England international Michael Carrick scores his first professional goal, but it's only a consolation after two Charlton goals in fifteen minutes, and a series of near misses. 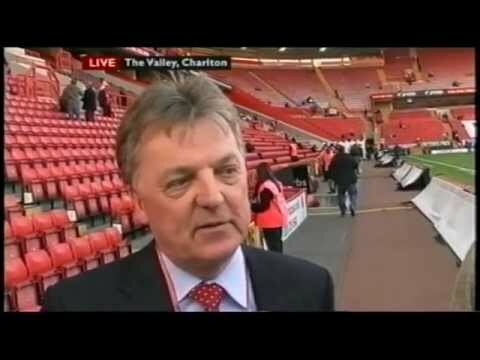 As the Town go out of the Carling Cup against Charlton, the more important action is off the pitch, as it is announced that Portuguese investment company BEST Holdings have agreed their prolonged takeover of the club. 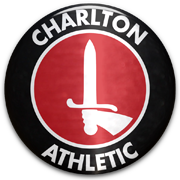 Charlton are reduced to nine men when 1-0 up late in the first half - before Town strike duo Charlie Austin and Billy Paynter both find the net - but the home side rescue an unlikely point with an equaliser deep into injury time. 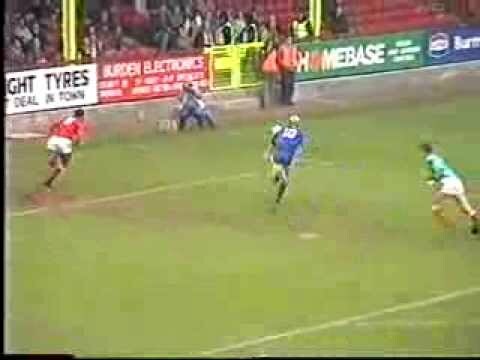 Swindon again succumb to their Achilles Heel - conceding another last minute equaliser against fellow promotion chasers Charlton. There's an electric atmosphere at the County Ground, as Swindon take a 2-1 lead into the second leg - but it could have been much more. 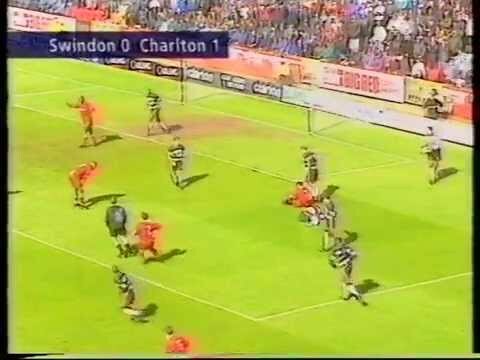 All of the match previews, as the Town prepare to face Charlton in the play-off semi finals. 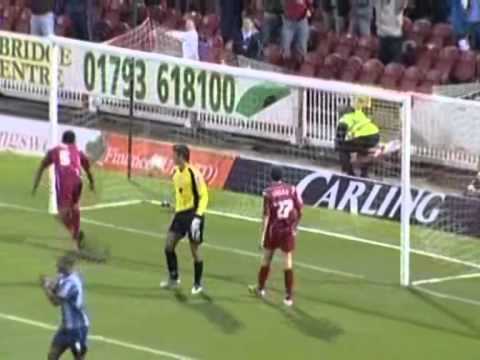 The match that had everything - after losing their goalkeeper to injury in the opening five minutes, Swindon go on to see their goal advantage wiped out by an own goal from Simon Ferry, and then go behind to a Dave Mooney effort on the stroke of half-time. The Town prepare for the second leg at the Valley. 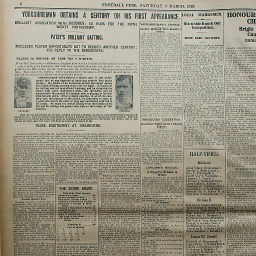 Click to view a newspaper report of Swindon's 1-1 draw against Charlton Athletic in the 1928-1929 season. 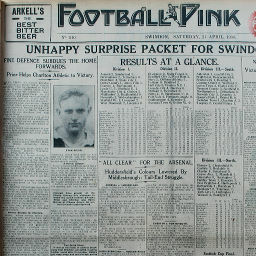 Click to view a newspaper report of Swindon's 1-3 defeat against Charlton Athletic in the 1933-1934 season. 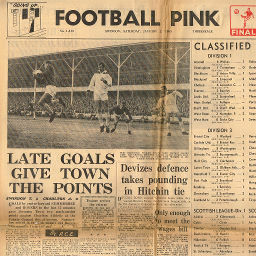 Click to view a newspaper report of Swindon's 1-2 defeat at Charlton Athletic in the 1955-1956 season. 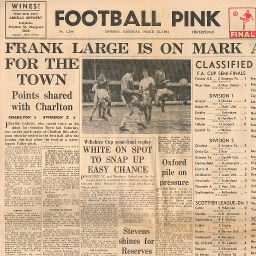 Click to view a newspaper report of Swindon's 2-2 draw at Charlton Athletic in the 1963-1964 season. 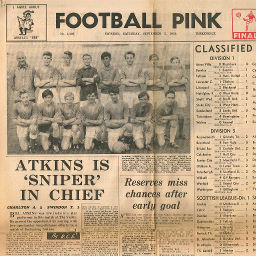 Click to view a newspaper report of Swindon's 2-3 defeat at Charlton Athletic in the 1964-1965 season. 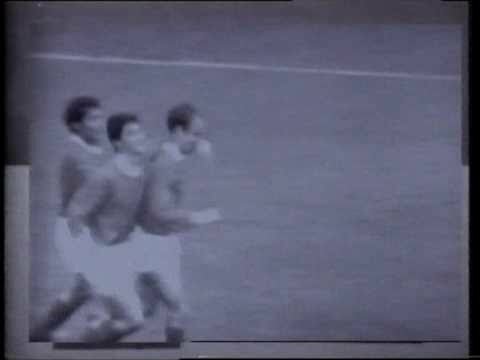 Click to view a newspaper report of Swindon's 2-0 win against Charlton Athletic in the 1964-1965 season. 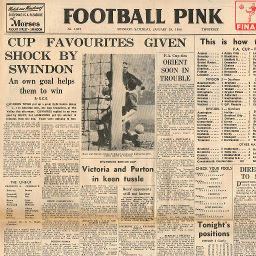 Click to view a newspaper report of Swindon's 5-0 win against Charlton Athletic in the 1969-1970 season. 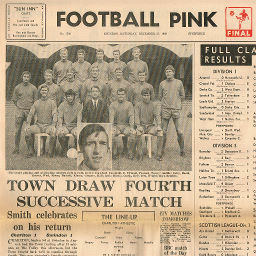 Click to view a newspaper report of Swindon's 1-1 draw at Charlton Athletic in the 1969-1970 season. 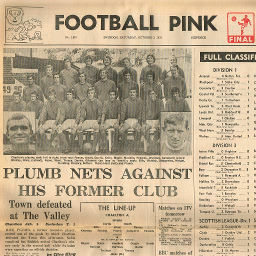 Click to view a newspaper report of Swindon's 1-2 defeat at Charlton Athletic in the 1970-1971 season. 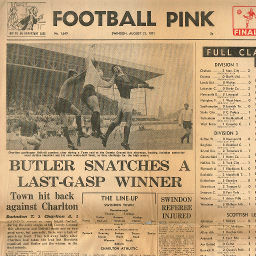 Click to view a newspaper report of Swindon's 2-1 win against Charlton Athletic in the 1971-1972 season. 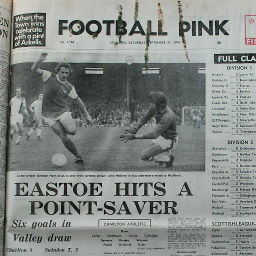 Click to view a newspaper report of Swindon's 1-3 defeat at Charlton Athletic in the 1971-1972 season. 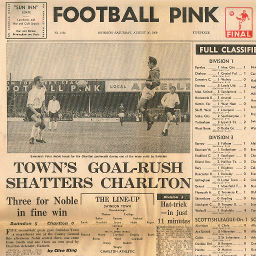 Click to view a newspaper report of Swindon's 3-3 draw at Charlton Athletic in the 1974-1975 season.